BoGy Games Blog - Indie Mobile Games Studio: It's Xmas time!! 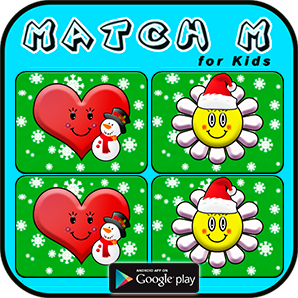 Finally Christmas has come to BoGy Games, Match M for Kids Xmas edition is available on Google play!! Match M for Kids has been specially dressed up for Xmas. Play and have fun with our Xmas characters! Who will achieve the higher scores? Try our Xmas update, and tell us... what do you think? Bogy Games wishes you a Merry Christmas... and a happy new year!! !